Nuaire is the UK’s market leader in energy efficient domestic and commercial ventilation products. Their fans are used in commercial and residential buildings and projects around the world. 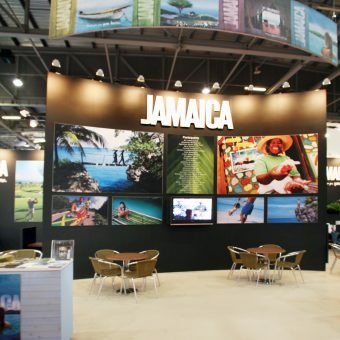 The brief was to increase their presence with an attention-grabbing display stand at Mostra, Europe’s biggest marketplace and event for heating, ventilation and aircon (HVAC) and energy sectors. 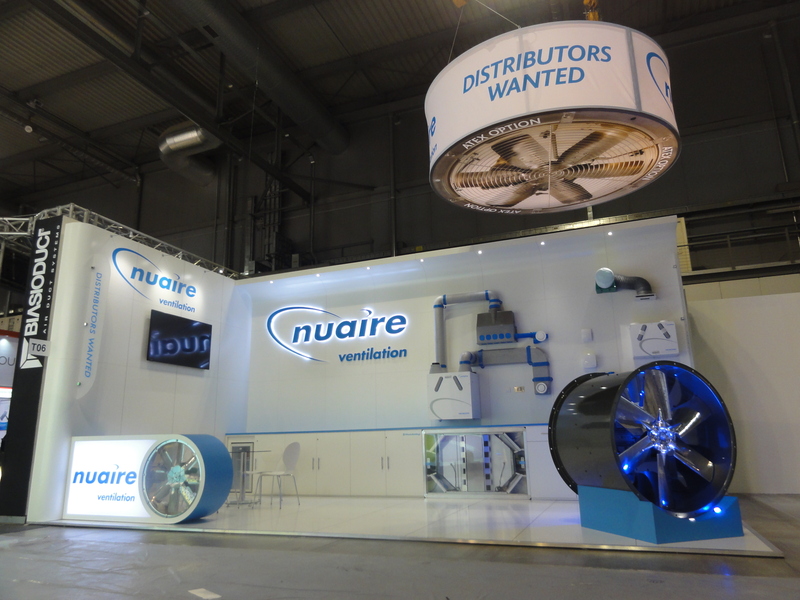 We tackled the challenging of displaying commercial fans with a combined weight of one tonne, with a reinforced wall to create a real feature of Nuaire’s products. We delivered a clean, contemporary looking stand, complete with working fans. We used blue LEDS to highlight the products and brand and included an information desk. 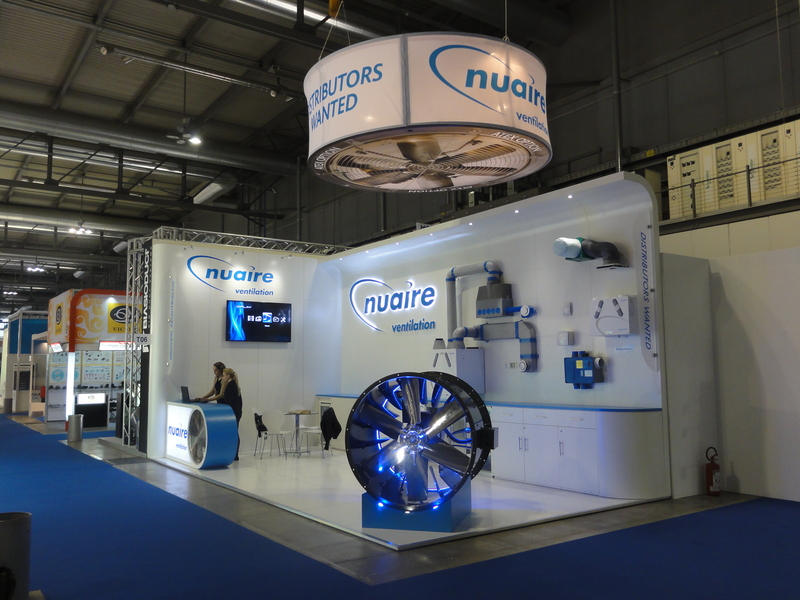 Visitors and the Nuaire sales team were blown away by the custom-built stand and its working fans. Following its initial success, it has been re-configured and re-installed at a series of shows in Germany, Italy and Norway. The concept has also been installed in Nuaire’s Middle East showroom in Dubai.